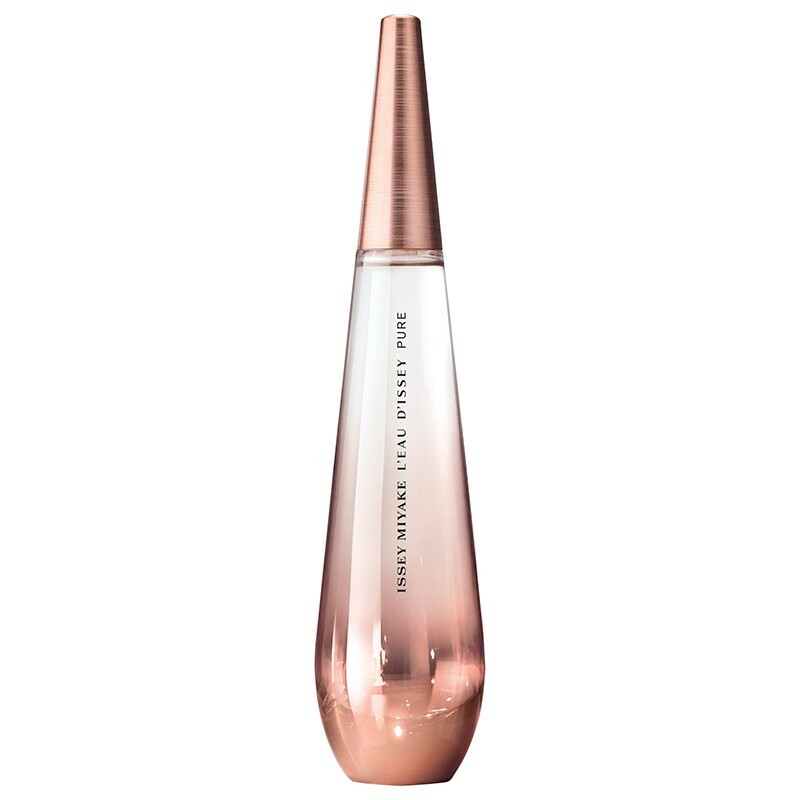 At the beginning of 2018, the new flanker launches, called L'Eau d'Issey Pure Nectar de Parfum, which represents a bottled drop of blossoming flower nectar. L'Eau d'Issey Pure Nectar de Parfum is developed by perfumers Fanny Bal and Dominique Ropion as a floral-woody scent. The Nectar edition represents "the ultimate stage in the metamorphosis of water, from sea to dew and from dew to rose." The composition begins with a sweet pear accord. Rose absolute forms the floral heart of the perfume, described as honeyed. The base contains sandalwood, ambergris and signature cashmeran.